San Juan Fiberglass Pools and AMS Financial have partnered up to bring you the pool industry’s best financing programs that don’t require any equity in your home. 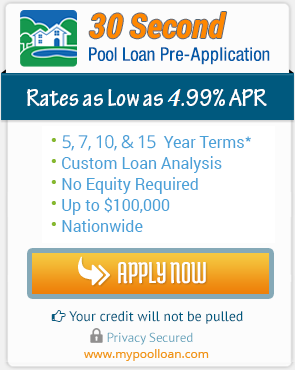 The pool loan portal is VERY simple to use. Simply proceed to the 30 second pre-application area to the right, enter in your details and you will be contacted by one of our account reps to discuss all of the programs available to you in your state.